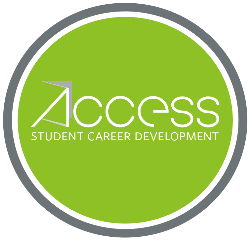 The Access Program provides a unique opportunity for post-secondary students to build meaningful connections with Burnaby’s business leaders through mentorship and networking with business leaders. The program also showcases workshops, seminars, industry panels and industry tours. Develop leadership skills and community building via the Access committees, Access Case Competition, and networking events. The program also provides Mentors the ability to nurture and assess top young talent. MENTOR MEETINGS – Each participant must meet with their Mentor 3 times - all three of these meetings are compulsory, and together are worth 3 points. For a list of participating Mentor Organizations click HERE. EVENTS – Each Access or Board of Trade event attended is worth 1 point. See examples of events offered from our current Access program session HERE. WORKSHOPS – Each workshop attended is worth 1 point. Aside from the Access Boot Camps at the start of the program, workshops are organized by the Access Skills Development Workshop Committee. See workshop examples from our current Access program session HERE. COMMITTEES – Students who participate on a committee with good attendance will earn 3 points. See the list of our Access committees from our current Access program session HERE. CASE COMPETITION – Members of a team competing in the Access Case Competition event will receive 3 points. See details of a previous year's case competition HERE. To complete the program, students must participate in various components to accumulate a minimum of 6 points. Students who achieve 13 or more points will earn a Special Distinction.